Chronic understaffing and a “trickle-down” of institutional frustration was leading to growing tension between students across the public schooling system, teachers warned. “Do we need to have a full-blown school shooting or some other kind of major incident for people to realise we have a staffing problem in our schools today?” one frustrated teacher complained to Times of Malta. 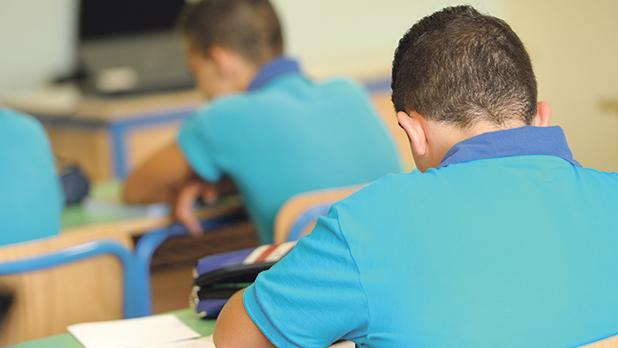 Educators were contacted by Times of Malta in the aftermath of media reports of a violent schoolyard altercation that saw a 15-year-old boy hospitalised with head injuries. The incident, at the Pembroke secondary school on Monday, started when two teen students – a third and a fifth former – got into a fight. Shortly afterwards, the younger student’s father arrived at the school, accompanied by two other men. Two staff members, understood to be an assistant head and a teacher, were hurt as they tried to break up the fight that involved the father, his friends and the two students. The altercation involved a Maltese and Libyan student. A teacher who spoke on condition of anonymity blamed the incident on bubbling tensions between students from the two countries. Teachers on Tuesday said such incidents had gone from being a rarity to becoming increasingly common. “It’s not just the Pembroke school, it happens in others as well. Multiculturalism is a complex issue to deal with in a classroom. Add to that teachers who are unmotivated and frustrated and the results are what we are seeing in our schools,” a teacher said. The incident on Monday was, in fact, followed by another violent altercation between a student and a school official on Tuesday. The police confirmed that a 15-year-old female student and a school official were involved in a fight at the St Ignatius College secondary school, in Qormi. No one was injured or arrested but the police said they had questioned both the student and the official and investigations were ongoing. The Malta Union of Teachers condemned Monday’s incident, saying it was having to say the “same things over and over” and was being proved right. It reiterated its appeal “for the umpteenth time” for the government to equip schools with adequate security measures to ensure that similar incidents are avoided. The Union of Professional Educators pointed its fingers at the education authorities, saying their lack of foresight was making schools unsafe. The Education Ministry said it would be fast-tracking the introduction of harsher penalties for violence in schools. Fines could be as high as €5,000. Meanwhile, teachers are calling for a safe work environment, deeming it “a given” for educators. “Security guards, proper CCTV systems and so on, these should be a given. We need more staff to be able to give students more attention and deal with the complexities of a changing classroom,” a teacher said.